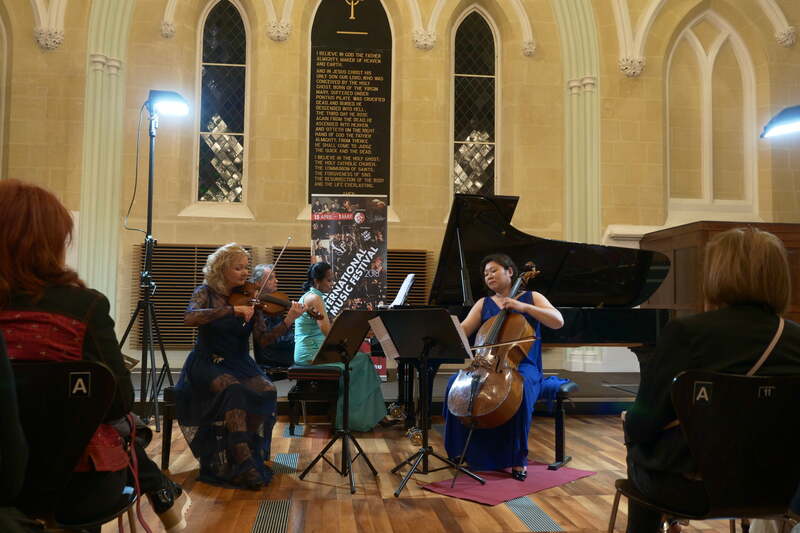 6th edition of the Malta International Music Festival commenced with the Cosmopolitan Trio Vienna concert at Robert Samut Hall. 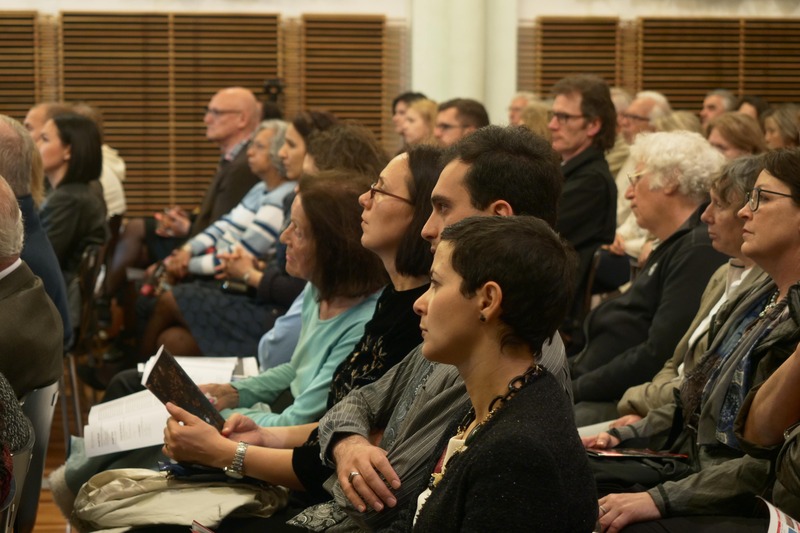 The 2-weeks classical music marathon started with a concert of the well-known musicians from Austria, India and Korea — violinist Elisabeth Kropfitsch, pianist Marialena Fernandez and cellist Meehae Ryo — performed lovely works of Haydn, Beethoven and Schubert — as well as an opus by modern Maltese composer Joseph Vella. Born on the island of Gozo, he composed his music under Mediterranean sun, surrounded by Mediterranean sea. He passed away very recently and we could not but admit that his “Romanza” sounded very pathetic in this cosy venue — ex-Methodist church built in Neo-gothic style. For an encore, the Cosmopolitan Trio Vienna performed bright “Shubertango” by contemporary Maltese composer Alexey Shor, who is a composer in residence of the Festival. Mr Antony Frendo, the President of the Association of violin teachers ESTA (Malta) who attended the concert, noted the impeccable sound of the Trio. “I am looking forward to the upcoming concerts of the Festival featuring the greatest violinists of our time”, he added.